The latest International Nuclear Safety Journal has an article* by Benoit Bernard describing a new safety culture (SC) regulatory oversight process now in use in Belgium. It is based on observations of SC during interactions with a licensee. This post describes the process and the rationale for it, followed by our perspective. Bernard starts with a brief history of SC in the nuclear industry then describes two types of regulation currently used, compliance-based and performance-based, and highlights the shortcomings of each. “Compliance-based” regulation is focused on a licensee’s control of isolated technical components. This traditional approach can lead to an “adversarial legalism” between the regulator and the licensee, discourage open communication and fail to promote continuous improvement. In contrast, “performance-based” regulation is based on specific outcomes the licensee is expected to achieve. The regulator focuses on monitoring outcomes. This is a reactive approach that can tend to concentrate on well-known risks or familiar issues, and ignore emergent new issues. Both approaches are inadequate to deal with human factors issues. The author notes “Safety culture cannot be directly regulated but it can be observed . . . [The new Belgian approach] is based on field observations provided by inspectors or safety analysts during any contact with a licensee (inspections, meetings, phone calls…).” (p. 3) It is expected to be more proactive and systemic than the earlier regulatory approaches. Bernard goes on to describe three aspects of SC that an overall assessment must address: Integration, Differentiation and Fragmentation. “Integration” refers to the “level of consensus concerning a set of values unifying people and reflected in practices and management systems.” (p. 8) Prior to the annual SC review with a licensee, SC observations are assessed through four key safety dimensions: Management, Organization, Workplace Practices and Behavior. You probably can’t read the figure below but each dimension has two component factors, e.g., Management consists of “Management system” and “Leadership,” and each factor appears under two different dimensions, e.g., “Management system” appears under Management and Organization. Each factor also has several attributes. This is where the rubber meets the road so think about the training, teamwork, supervision and overall effort required to get regulatory observers (who are more likely to be technical experts than social scientists) to reliably associate specific observations with the correct dimension(s), factor(s) and attribute(s) and then integrate their findings into an overall SC assessment. If this topic sounds familiar, on April 21, 2014 we posted on an SC oversight process developed by the Romanian nuclear regulatory agency (CNCAN). The CNCAN approach looks at artifacts (documents, interviews and observations) to develop an overall, longer-term perspective on SC. CNCAN recognizes there are limitations to using their process including findings that reflect a reviewer’s subjective opinion and over-reliance on one specific finding. The Belgian paper recognizes that training technically-oriented reviewers to become competent observers is a challenge. But Bernard also appears to promote the possibility of “one specific finding” being an early warning, a leading indicator of problems. This is a good paper for its comprehensive discussion of nuclear SC in general and its description of two existing regulatory world views. But we have some concerns with the SC observation process. As noted above, training observers is a major challenge and we think it would be very difficult to adopt such a process in the relatively fragmented U.S. nuclear industry. In addition, observations are a very soft artifact (compared to documents or even structured interviews) and thus open to to misunderstandings, observational errors and false positives. It’s easy to imagine a licensee being sent off on a wild goose chase after a regulator misreads one (or more) interactions with licensee personnel. Furthermore, as instant observations become used as leading indicators, the process could become more like a backseat driver commenting on every turn of the steering wheel. Licensees might oversteer in their attempt to get back into this new type of compliance. The risk is the observational process begins to intrude on day-to-day management. And, at some point, ownership of plant SC could subtly shift from the licensee to the regulator. Finally, although we constantly chide the industry for concentrating on the “what” and ignoring the “why” associated with incidents or infractions, it’s also clear that the pendulum could swing too far in the other direction. In plain language, not every minor issue merits an in-depth “why” investigation; that can be a route to over-use of resources and organizational paralysis. We’re not condemning this as a bad idea. But a regulatory user (and licensees) should be alert to the possibility of unintended consequences. 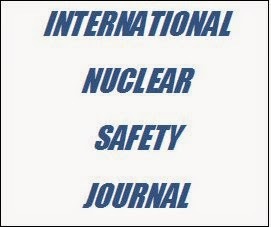 ** B. Bernard, “Safety Culture as a Way of Responsive Regulation: Proposal for a Nuclear Safety Culture Oversight Model,” International Nuclear Safety Journal vol. 3 no. 2 (2014) pp. 1-11. Thanks to Madalina Tronea for promoting this journal. Dr. Tronea is the founder/moderator of the LinkedIn Nuclear Safety group. The Defense Nuclear Facilities Safety Board (DNFSB) has been busy in the safety culture (SC) space. 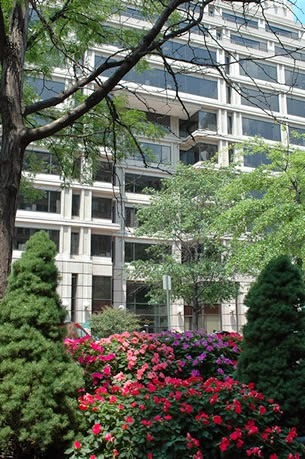 First, their Chairman’s May 7, 2014 presentation on preventing major accidents provides a window into how the DNFSB views safety management and SC in the DOE complex. Second, the DNFSB’s meeting on May 28, 2014 heard presentations on SC concepts from industry and government experts. This post reviews and provides our perspective on both events. On our part, we feel like we’ve been talking about goal conflicts forever. The first step in addressing goal conflicts is to admit they exist, always have and probably always will. The key to resolving them is not by issuing a safety policy, it is to assure that an entity’s decision making process and its reward and compensation system treat safety with the priority it warrants. Winokur says “Understand the nature of low-probability, high-consequence accidents driven by inadequate control of uncertainty, not cause-effect relationships . . .” (p. 14) and “Risk-informed decision making can be deceptive; focus on consequences, as well as probabilities.” (p. 16) These observations are directly compatible with Nicholas Taleb: “This idea that in order to make a decision you need to focus on the consequences (which you can know) rather than the probability (which you can’t know) is the central idea of uncertainty.”*** See our June 18, 2013 post for a discussion of decisions that led to high-consequence (i.e., really bad) outcomes at Crystal River, Kewaunee and San Onofre. There is no additional material in the presentation for a few important factors, so we will repeat earlier Safetymatters commentary on these topics. We have pointed out how organizations, especially high reliability organizations, strive to maintain mindfulness and combat complacency. Complacency leads to hubris (“It can’t happen here”) and opens the door for the drift toward failure that occurs with normalization of deviance, constant environmental adaptations, “normal” system performance excursions, group think and an irreducible tendency for SC to decay over time. This refers to everyone who has the responsibility to provide competent, timely, incisive assessment of an entity’s activities but fails to do so. Their inaction or incompetence neither reinforces a strong SC nor prods a weak SC to improve. 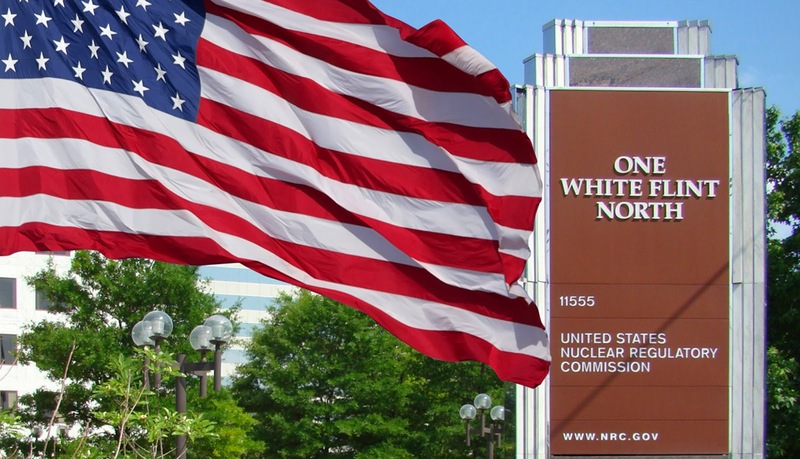 This was "the first of two hearings the Board will convene to address safety culture at Department of Energy defense nuclear facilities and the Board’s Recommendation 2011–1, Safety Culture at the Waste Treatment and Immobilization Plant. "**** This hearing focused on presentations by SC experts: Sonya Haber (an SC consultant to DOE), NRC and NASA. The experts’ slide presentations and a video of the hearing are available here. Haber hit the right buttons in her presentation but neither she nor anyone else mentioned her DOE client's failure to date to integrate the SC assessments and self-assessments DOE initiated at various facilities in response to Recommendation 2011-1. We still don’t know whether WTP SC problems exist elsewhere in the DOE complex. We commented on the DOE’s response to 2011-1 on January 25, 2013 and March 31, 2014. Winokur asked Haber about the NRC's "safety first" view vs. the DOE's "mission/safety balance." The question suggests he may be thinking the "balance" perspective gives the DOE entities too much wiggle room to short change safety in the name of mission. The NRC presenter was Stephanie Morrow. Her slides recited the familiar story of the evolution of the SC Policy Statement and its integration into the Reactor Oversight Process. She showed a new figure that summarized NRC’s SC interests in different columns of the ROP action matrix. Chairman Winokur asked multiple questions about how much direction the NRC gives the licensees in how to perform SC assessments. The answer was clear: In the NRC’s world, SC is the licensee's responsibility; the NRC looks for adequacy in the consideration of SC factors in problem resolution and SC assessments. Morrow basically said if DNFSB is too prescriptive, it risks ending up "owning" the facility SC instead of the DOE and facility contractor. The Chairman’s presentation addressed SC in a general sense. However, the reality of the DOE complex is a formidable array of entities that vary widely in scope, scale and missions. A strong SC is important across the complex but one-size-fits-all approaches probably won’t work. On the other hand, the custom fit approach, where each entity has flexibility to build its SC on a common DOE policy foundation doesn’t appear to lead to uniformly good results either. The formal hearing to receive presentations from SC industry experts evidences that the DNFSB is gathering information on what works in other fields. Bottom line: The DNFSB is still trying to figure out the correct balance between prescription and flexibility in its effort to bring DOE to heel on the SC issue. SC is an vital part of the puzzle of how to increase DOE line management effectiveness in ensuring adequate safety performance at DOE facilities. * P.S. Winokur, “A User’s Guide to Preventing Major Accidents,” presentation at the 2014 Nuclear Facility Safety Programs Annual Workshop (May 7, 2014). The workshop was sponsored by the DOE Office of Environment, Health, Safety, and Security. Thanks to Bill Mullins for bring this presentation to our attention. ** E. Schein, Organizational Culture and Leadership (San Francisco, CA: Jossey-Bass, 2004), p. 11. *** N. Taleb, The Black Swan (New York: Random House, 2007), p. 211. **** DNFSB May 28, 2014 Public Hearing on Safety Culture and Board Recommendation 2011-1.